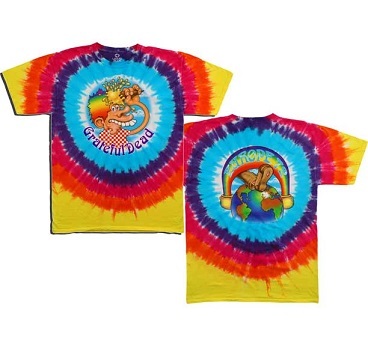 After a long absence, this very popular Grateful Dead t-shirt is back! From the Europe '72 album, also known as the ice cream kid t-shirt, this famous image is on a high quality tie dye t-shirt. Officially licensed Grateful Dead merchandise.